Eco-Oil HIPPO Enhanced is a registered organic miticide/insecticide spray made from Australian grown plant oils and botanical extracts. 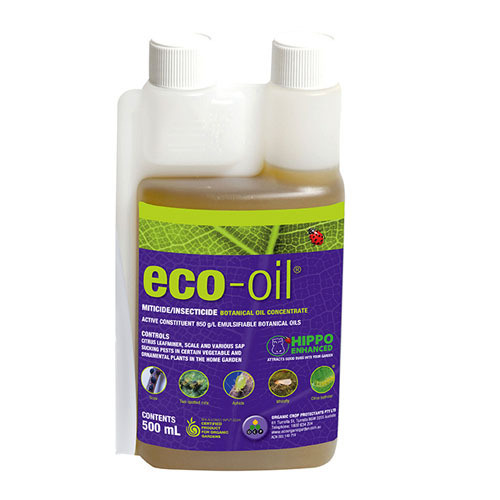 Eco-oil controls a broad range of insects including scale, mites, aphids, whitefly, mealybugs and leaf miner. 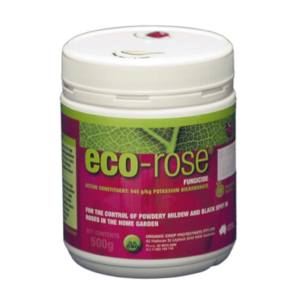 Eco-oil is safe for insects like bees and ladybeetles which are beneficial. There is no withholding period. So it is safe for use on edible fruit and vegetables crops also reduces the risk of foliage being burnt compared to other mineral based sprays like white oil. 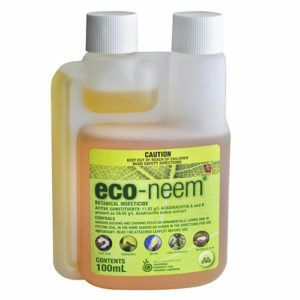 Eco-Neem is a registered organic botanical insecticide that contains effective extracts from the neem tree. 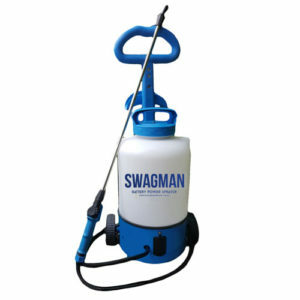 controls a broad range of chewing and sucking insects, Caterpillars, curl grubs, mites, aphids, whitefly, citrus leaf miner, mealybug, fungus gnats, grasshoppers. 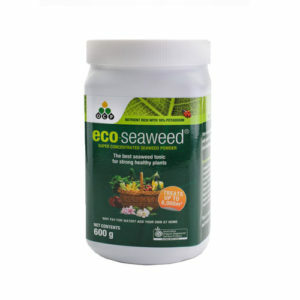 Eco neem is Safe for bees, ladybeetles and other insects which are beneficial to the environment. Available in 100ml concentrate packs.